JAYAKANTHAM and OTHERS Vs. ABAYKUMAR . 2 This appeal arises from a judgment rendered by a learned Single Judge of the Madras High Court on 11 June 2015 in a second appeal under Section 100 of the Code of Civil Procedure, 1908. Dismissing the second appeal, the learned Single Judge confirmed the judgment of the Principal District Judge, Villupuram by which an appeal against the judgment of the sub-Judge, Kallakurichi was dismissed. The trial court decreed the suit for specific performance instituted by the respondent against the appellants. 3 The subject matter of the suit for specific performance is a property bearing survey No. 314/1A at Kallakurichi village admeasuring 735 square feet upon which a residential house is situated. An agreement to sell was entered into between the appellants and the father of the respondent on 2 June 1999. The consideration agreed upon was rupees one lakh sixty thousand of which an amount of rupees sixty thousand was received as advance. The balance was to be paid when the sale deed was executed. Time for completion of the sale transaction was reserved until 2 June 2002. A legal notice seeking performance of the agreement was issued on 7 May 2002. In response, the defence that was set up was inter alia that the agreement to sell was executed only as a security for a loan transaction. 4 In support of the plea for specific performance, the father of the respondent was examined as PW1. Evidence on behalf of the appellants was adduced by DW1 and DW2. The trial court by a judgment and order dated 5 January 2007 decreed the suit for specific performance and directed the appellants to execute a sale agreement in favour of the respondent against receipt of the balance consideration of rupees one lakh. The trial court noted that the agreement to sell had been registered and rejected the defence that it is merely a document executed by way of security for a loan transaction. In the view of the trial court, there was nothing in the agreement to indicate that it was executed merely by way of a security. A finding of fact was arrived at to the effect that the respondent was ready and willing to perform the agreement. The suit was decreed. The judgment of the trial court was confirmed in appeal on 26 August 2008 by the Principal District Judge, Villupuram. 5 A second appeal was initially admitted on a substantial question of law but was eventually dismissed by a learned Single Judge of the Madras High Court on 11 June 2015. 6 When the Special Leave Petition came up on 29 January 2016, this Court observed that there was no error in the finding of facts recorded by three courts concurrently and hence those findings could not be reversed on merits. However, the alternative submission which was urged on behalf of the appellants was that the suit property is the only property held by them and has an extremely high value. The appellants stated that they are ready to pay a sum of rupees ten lakhs or even more to retain it. Notice was issued to the respondent limited to the above contention. 7 On behalf of the appellants, it has been submitted that this is a fit and proper case where specific performance ought not to be ordered and a decree for compensation in lieu thereof would meet the ends of justice. It was urged that specific performance of an agreement need not necessarily be ordered merely because it is lawful to do so and the matter lies in the judicious exercise of discretion of the court. In support of this plea, reliance was placed on several circumstances; primary among them being the fact that it is not in dispute that the father of the respondent who entered into the transaction and deposed as PW1(the respondent being about sixteen years of age at the time of execution of the agreement) carried on money lending business. Opposing this submission, it was urged on behalf of the respondent that while it is true that his father is a money lender, this by itself would not disable the respondent from seeking specific performance. Moreover, it was urged that the mere fact that there has been an escalation of land prices would not be a justification to refuse specific performance. However, explanation 1 stipulates that the mere inadequacy of consideration, or the mere fact that the contract is onerous to the defendant or improvident in its nature, will not constitute an unfair advantage within the meaning of clause (a) or hardship within the meaning of clause (b). 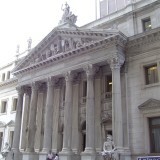 Moreover, explanation 2 requires that the issue as to whether the performance of a contract involves hardship on the defendant has to be determined with reference to the circumstances existing at the time of the contract, except where the hardship has been caused from an act of the plaintiff subsequent to the contract. During the course of the evidence, the appellants produced material (Exhibit D3) indicating that the value of the property was six lakhs thirty thousand on 20 November 2006. The agreed consideration between the parties was rupees one lakh sixty thousand of which an amount of rupees sixty thousand was paid at the time of the execution of the agreement. The sale transaction was to be completed within three years against the payment of the balance of rupees one lakh. The appellants also relied upon Exhibit D2 which indicated that the value of the property as on 1 April 1999. These aspects were adverted to in the judgment of the trial court and the first appellate court while setting out the evidence, but have evidently not been borne in mind in determining as to whether a decree for specific performance could judiciously have been passed. 11 In our view the material which has been placed on record indicates that the terms of the contract, the conduct of parties at the time of entering into the agreement and circumstances under which the contract was entered into gave the plaintiff an unfair advantage over the defendants. These circumstances make it inequitable to enforce specific performance. 12 For the above reasons a decree for the payment of compensation in lieu of specific performance would meet the ends of justice. 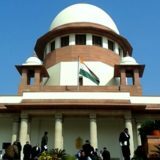 As we have noted earlier the father of the respondent paid an amount of rupees sixty thousand to the appellants in June 1999 of the total agreed consideration of Rs. 1.60 lakhs. The appellants have voluntarily offered to pay an amount of rupees ten lakhs, as just compensation in lieu of specific performance. In our view, the ends of justice would be met by directing the appellants to pay to the respondent an amount of rupees fifteen lakhs in lieu of specific performance. 13 The decree for specific performance shall accordingly stand set aside and shall stand substituted with a direction to the appellants to pay a sum of rupees fifteen lakhs to the respondent in lieu of specific performance. The amount shall be paid within two months from the date of receipt of a copy of this judgment. Upon the expiry of the period of two months, the amount shall carry interest at the rate of 9 per cent per annum, till payment or realization. 14 The appeal shall stand allowed in these terms. There shall be no order as to costs. Date : 21/02/2017 This petition was called on for judgment today. For Petitioner(s) Mr. K. V. Mohan,Adv. Hon’ble Dr. Justice D.Y. Chandrachud pronounced the judgment of the Bench comprising Hon’ble Mr. Justice Arun Mishra and His Lordship. For the reasons recorded in the Reportable judgment, the appeal is allowed. There shall be no order as to costs.